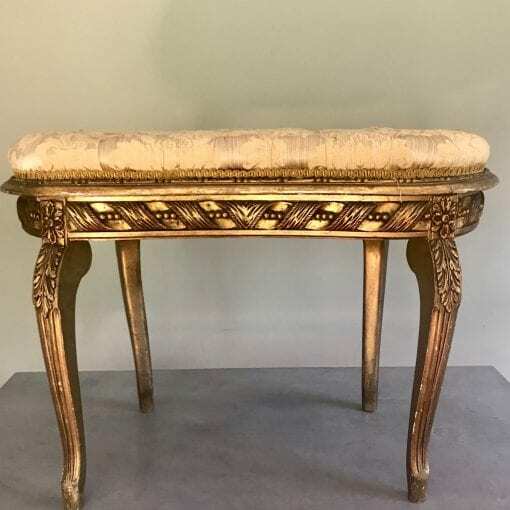 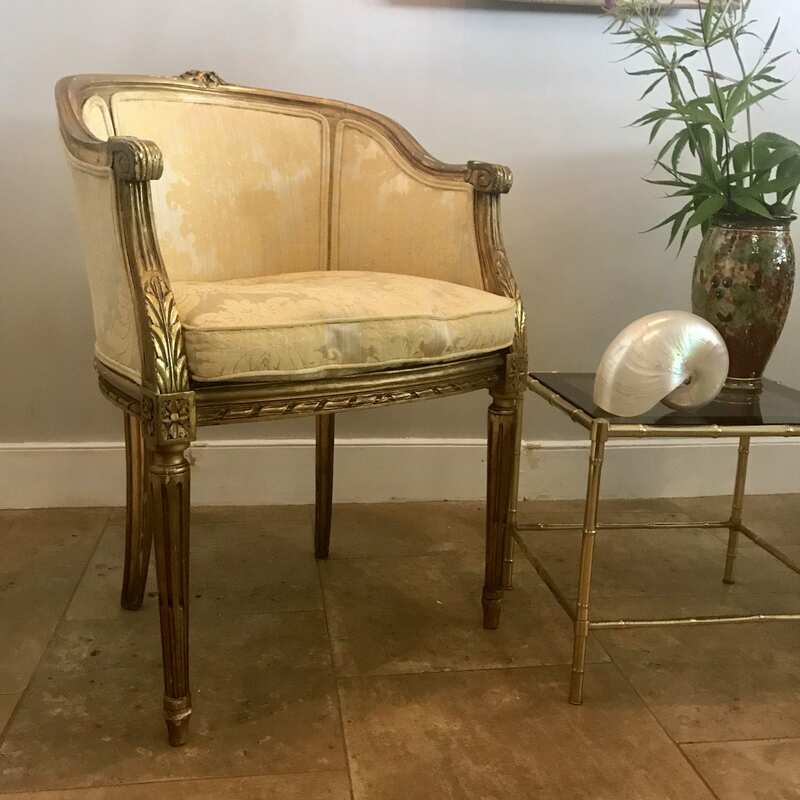 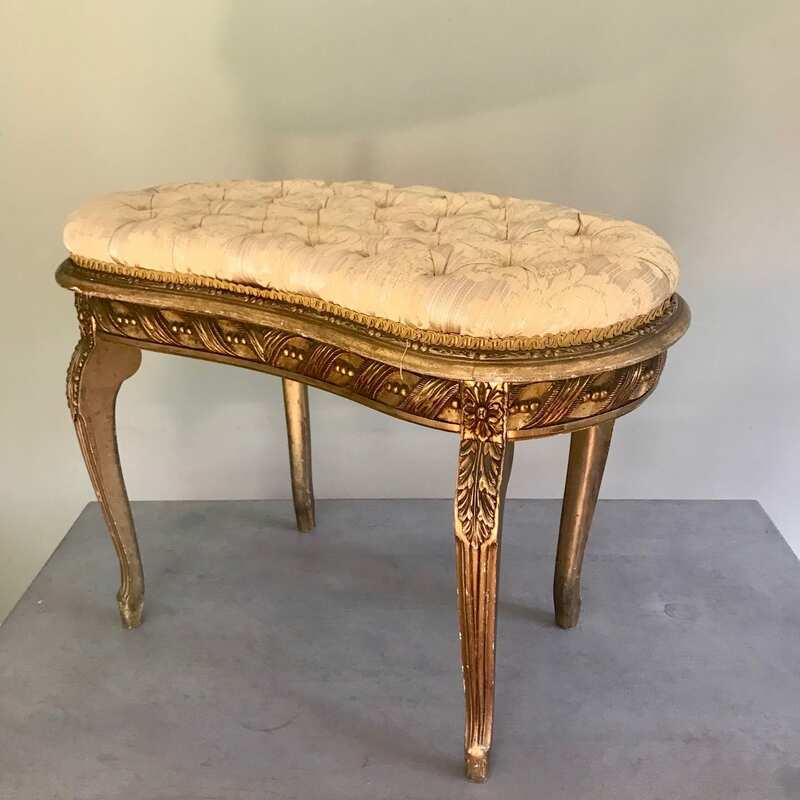 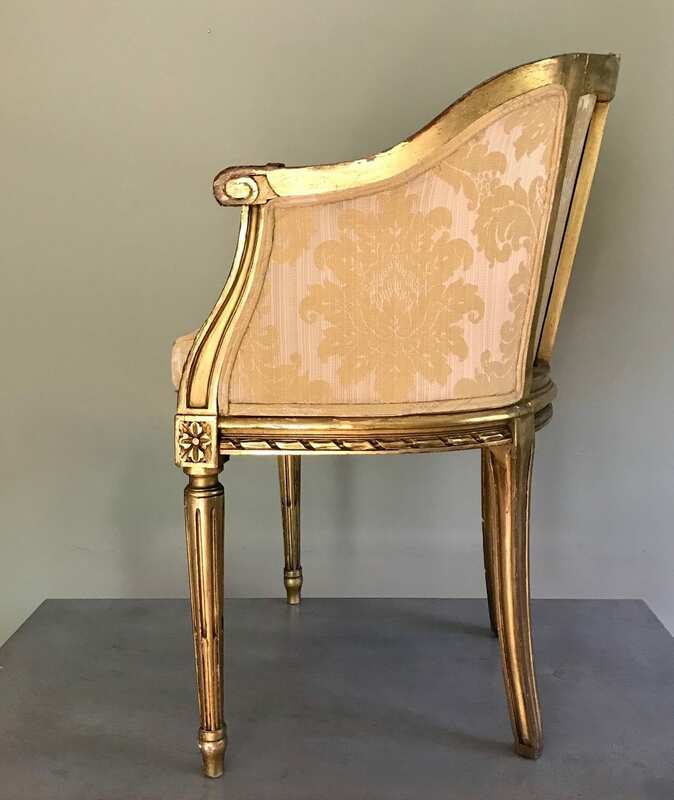 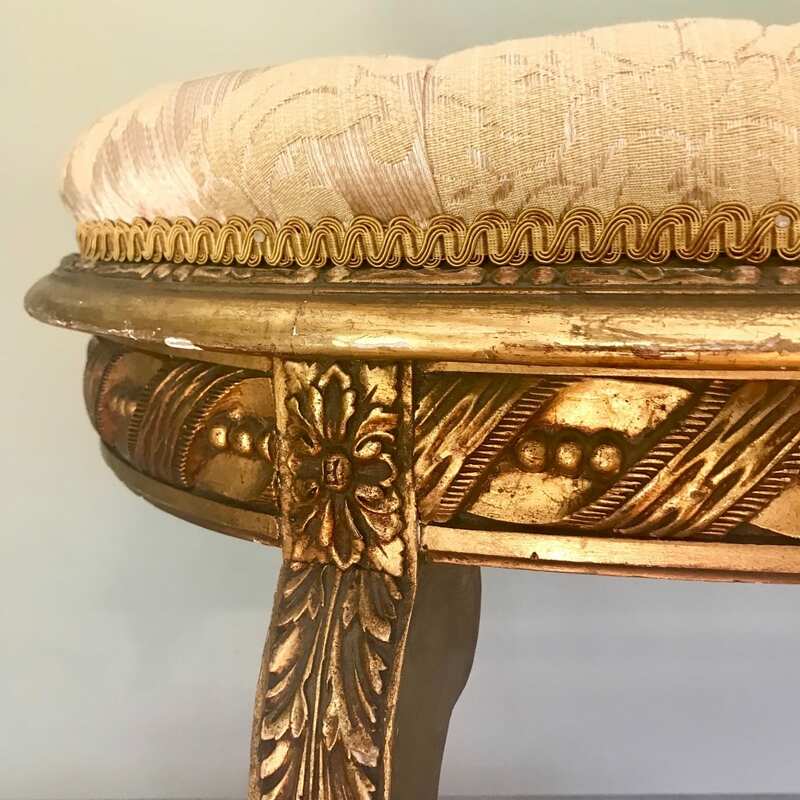 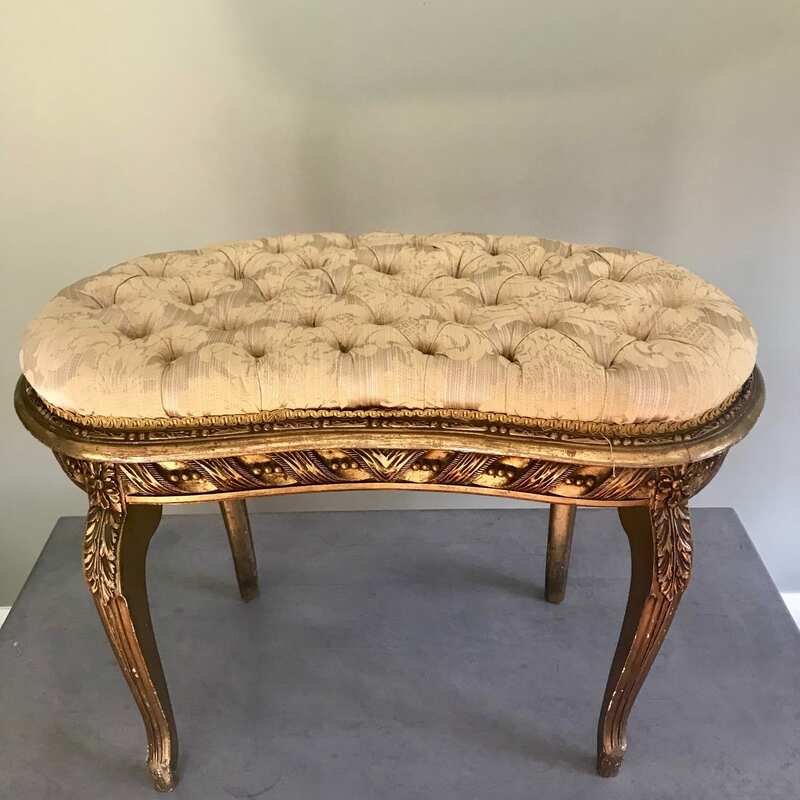 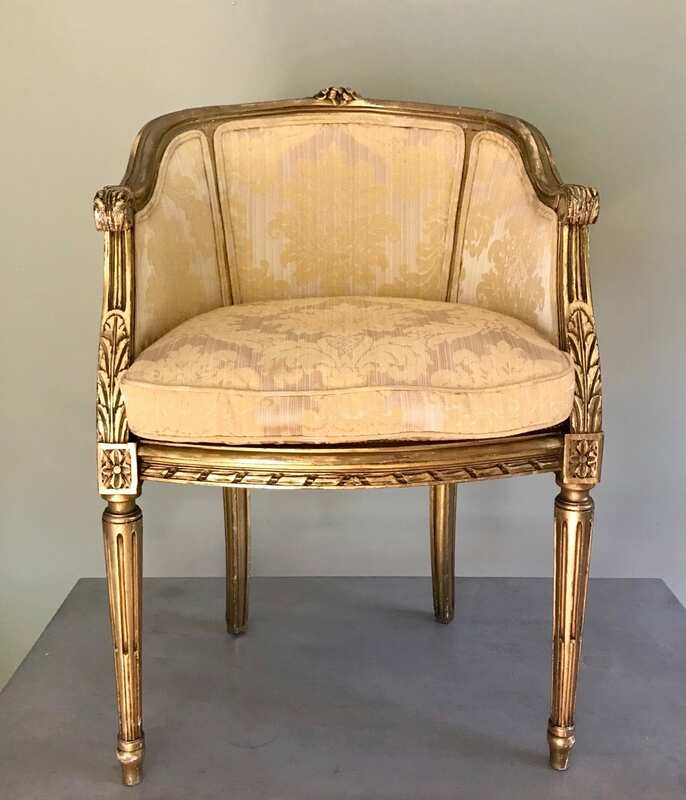 A lovely French 19th Century Louis XVI style kidney-shaped large stool, the carved frame carved with acanthus leaves and cabriole legs. 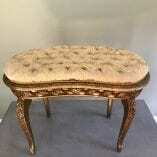 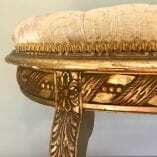 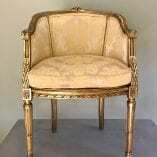 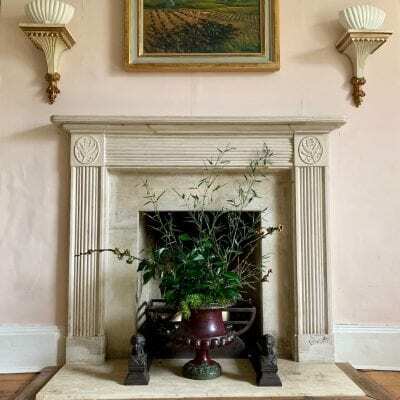 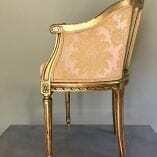 The damask fabric is in very good condition and fit for purpose but these could of course be re-upholstered. 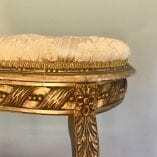 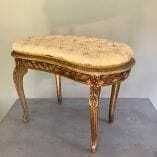 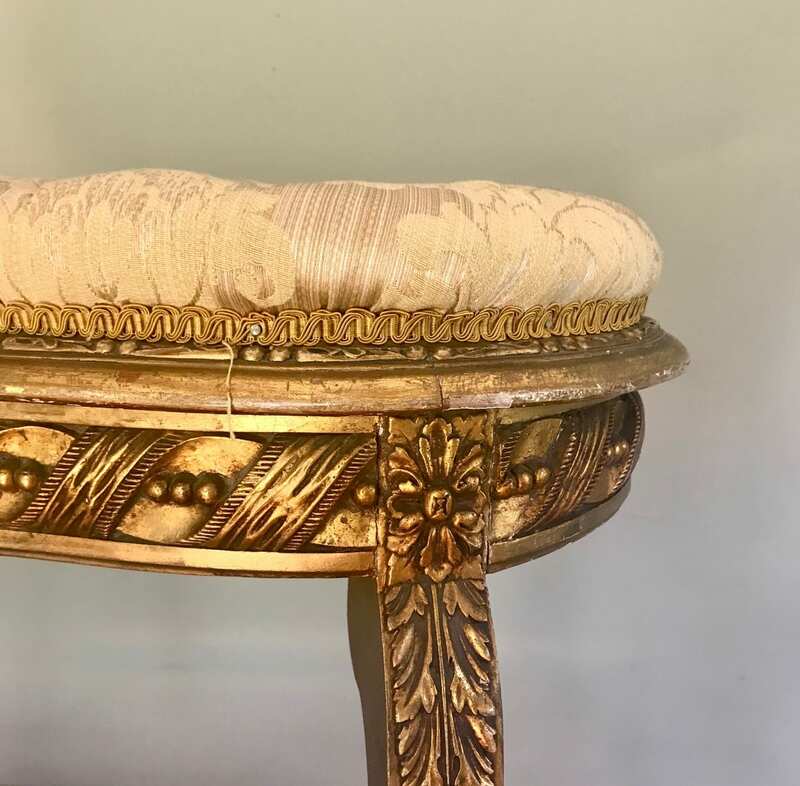 This stool is part of a matching set of 19th Century chairs.